Software Development | Performance Software NY INC.
Our team of designers and programmers have over 20 years combined experience in creating the next greatest software program for your business. If you have an idea we can bring it to reality as a custom software program or mobile application. Intuitive SEO Infused National Restaurant Search Engine, Directory, Reservation Platform and Multi-Dimentional Marketing Portal. Restaurateurs who sign up for FREE on the ERITC.com Website are presented with a Complimentary Website Portal, complete with Automated SEO-Infused White Hat Practices, insuring the best positioning on the major Search Engine Search Result Pages. 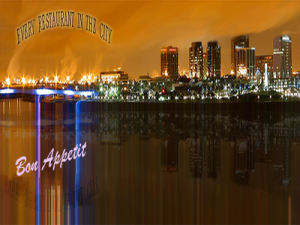 The portal allows the management of all aspects of the Restaurant’s Page & Listing Details as displayed on ERITC.com’s Website. Those Restaurateurs who accept Reservations can also benefit by utilizing the Reservation System, a Reservation Host Portal, designed exclusively for accepting and managing reservations, No Equipment Fee’s Required! Accept Reservations from the ERITC.com Website and/or the Restaurant’s own Website, simply sign up, grab the code and insert it on any page in the Restaurant’s Website. The portal also includes a user friendly Built-In Local Special Generator for advertising specials to local customers on the ERITC Website as well as the mobile app. The generator provides Restaurateurs the ability to send specials on a moments notice to local customers by text/sms. Additional features of the portal include free options for Restaurateurs to display events, list happy hour schedules, feature executive and head chefs, cuisines, signature dishes, website links, menus, take out/delivery, dress code, sharing across social networks, monitor reviews in real time, search restaurants for craft beer, search for food truck locations and much more. For guests & members, ERITC.com offers consumers with an intuitive Restaurant Search Engine & Directory with access to over 650,000 Nationwide Restaurants to search from by utilizing custom search filters to redefine and fine tune searches. Travelers can download the Every Restaurant App from Google, Apple or Blackberry to search for Restaurants by using the Nearby Search Function to find Restaurants in close proximity to the user’s current location. Users can also view complete restaurant details, reviews, dress code requirements, celebrity chef & food network featured shows, signature dishes and local specials. Additionally members can save their restaurants to their favorites, make & manage reservations, manage reviews and more! Members who opt into the reward program can earn points to redeem for gifts by participating in promotions. Advertisers are provided the option to advertise their products and services on the ERITC.com website by utilizing banner or text ad formats. 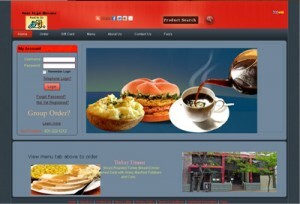 Customized Software Developed for the Restaurant Industry. Food To Go Services Restaurant & Food Delivery Software was developed for those establishments in the food service industry who offer food delivery and pick up services to their customers. The software goes one step further by offering a Group Order Feature which is unique and uncommon in other software delivery products. The Group Order Feature allows customers to place group orders, this is great for businesses, parties, group meetings, courthouses, the list goes on. The Group Order Feature offers the customer the option to initiate a group order which in turn initiates an email invitation to those selected to join the group, this email includes a link to the menu for item selection. Members of the group order can pay for their order by using their credit card or they can chose to pay by using the cash/cod option.